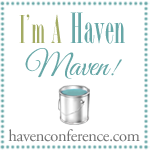 I signed up rather last minute to attend the Haven Blogger Conference. As in so last minute I had to join the Facebook group to scour a ticket from someone who bought one and then could not attend. I didn't really know what to expect and was rather nervous about attending. I love my blog. I love writing it and most of all I love the amazing people I have met from reading blogs. But I was still very nervous. I mean ... I had business cards, but would I need them. Does anyone really read this little blog of mine?? I was thrilled to be rooming with my sweet friend Amanda, who along with my One Room Challenge friend Krystine Edwards encouraged me to buy the ticket. Little did I know that I would be sitting here just a few days after with amazing memories, aching sides from amazing laughs, swag that fills a room and so many wonderful memories of meeting so many precious people. I think the best way for me to share my weekend with you would be to break it down into more than one post ... the people, the swag, the days. I have so much to sort through and absorb from this amazing weekend. My roomie posted already and broke it down into the three days we were there. (Of course she already posted. She is super organized like that!!) I will share this ... it was WAY more than I could have even expected. The people I met were just precious. Both people who knew me (and read my blog) and people I had never seen before and can not wait to see again!!! So glad you had a wonderful time, even last minute. 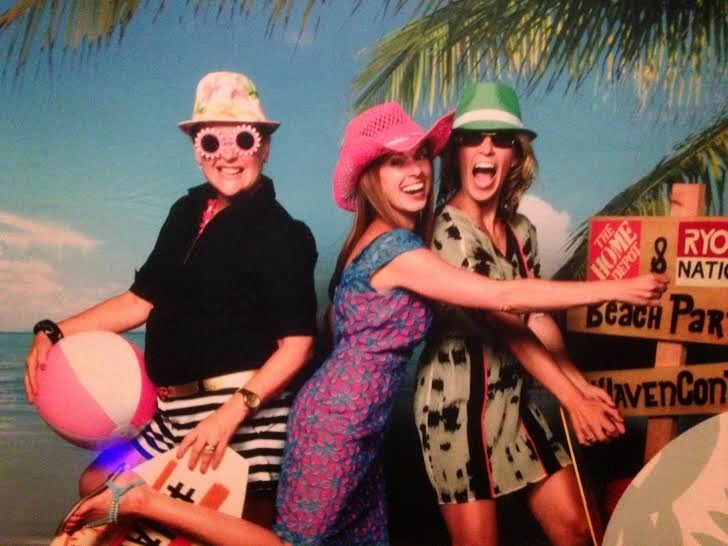 This picture just keeps me smiling- LOVE y'all- SO fun!! !